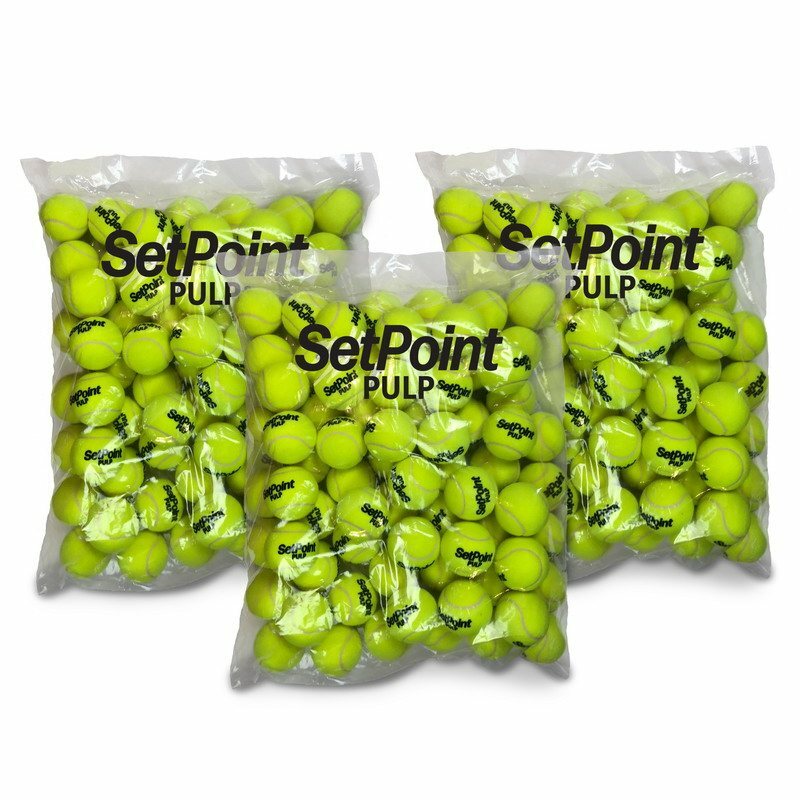 3 Packs of SetPoint Pulp Pressureless Tennis Balls. Fills up the entire hopper so you can hit longer before you have to pick up the balls. 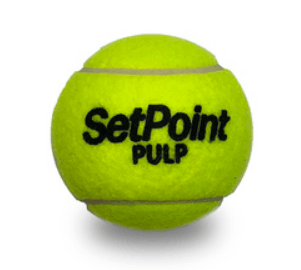 This premium pressureless tennis ball is designed for use in tennis ball machines. Lesser quality pressureless tennis balls sell for less than it costs to manufacture these. You purchased a premium tennis ball machine which deserves premium pressureless tennis balls. Note: You can use regular pressure-less tennis balls in the Spinfire Pro 2 but they tend to go flat very quickly when used in the machine as they get hit much more frequently than in a tennis match and they also gets squeezed through the wheels each time the machine shoots them. Therefore they eventually can jam the machine and will tend not to behave consistently. Replacing them frequently is very expensive. Pressureless balls do not go flat and provide consistent behaviour and bounce and significantly decrease the cost of using tennis balls in a tennis ball machine. We recommend 3 packages to completely fill up the Spinfire Pro 2 tennis ball hopper (but at least 2 packages! ).